Picked this up yesterday, It was put together bitd by the sellers brother in law who worked in a bike shop. I'd appreciate help with dating the frame.. Seller says 97, I suspect 98? Here's the photo from the ad. Last edited by Slow6 on Wed Nov 02, 2011 11:31 am, edited 2 times in total. Here she is knocked up for a quick test ride this arvo. Weeks of nothing, no posting, nada, then BAM, he whips out a Klein Mantra!!! Looks ace mate, I presume you are bringing it to our Lake Mountain run on the 13th November? yes, good lad!! 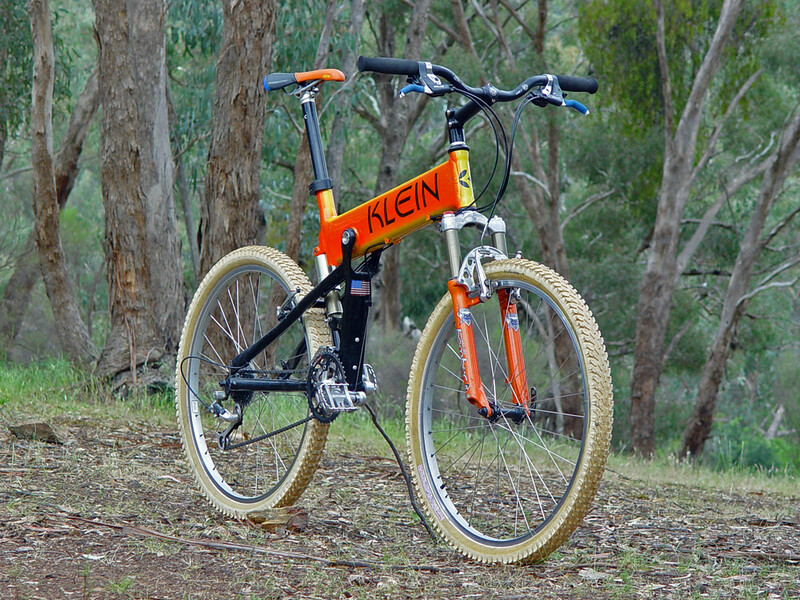 bikepedia says Mantra Race from '98. Looks great what ever the year. Call me weird, but I like the little touches of blue (saddle, brake levers, flag sticker and Marzocchi logo) too. Call me weird, but I like the little touches of blue (saddle, brake levers, flag sticker and Marzocchi logo) too. 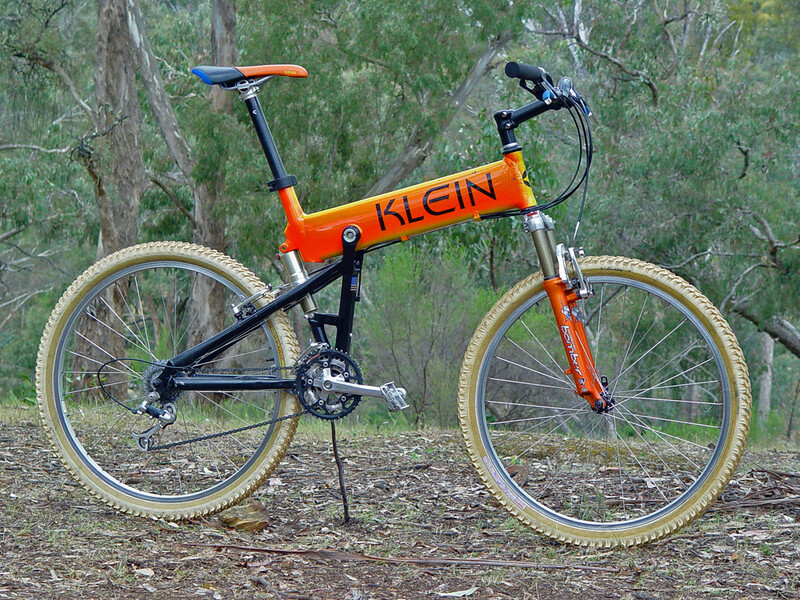 Loving the colours of this frame, never having seen a klein before I really wasn't expecting to want to lick the thing whenever I walk past it. the only bit I'm struggling with is my HATRED for black components on bikes but that swing arm isn't going anywhere so it looks like I'm going to dig deep and find the love. That's my pokin' dead things by the trail twig, very important piece of kit!